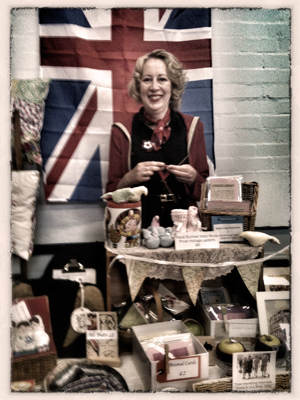 Miss Pitchy Patchy trades at vintage and handmade fairs in Staffordshire, Cheshire and Shropshire. For more details of upcoming events please see our Facebook page. Why not subscribe to receive our newsletter and we'll keep you updated from time to time? Click here to fill in your details. If you are organising a vintage/handmade fair please consider our stall. We arrive promptly, with our own table and chairs if necessary, have a friendly and professional approach to customers and dress the part in a fully 1940s outfit. We offer fully branded packaging with a beautifully dressed stall, and are always happy to talk to customers about the processes and materials used in our products. We will promote your event on our Facebook page and at other events in the lead-up. We even clear up efficiently afterwards! Please get in touch.